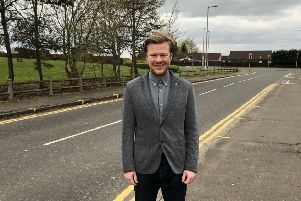 Work will continue over the weekend to repair and reinstate the height barrier at the Bellshill Road side of the level crossing in Motherwell. The barrier had to be removed after a lorry crashed into it yesterday (Thursday) and got stuck on the railway line. The level crossing was closed overnight after police asked North Lanarkshire Council to put restrictions in place, but was reopened this morning. There is no evidence of any damage to the railway line or overhead wiring. A spokesperson for the Scotrail Alliance said: “Materials have been ordered to allow for the full repair and reinstatement of the downed beam, with full repairs continuing over the weekend.